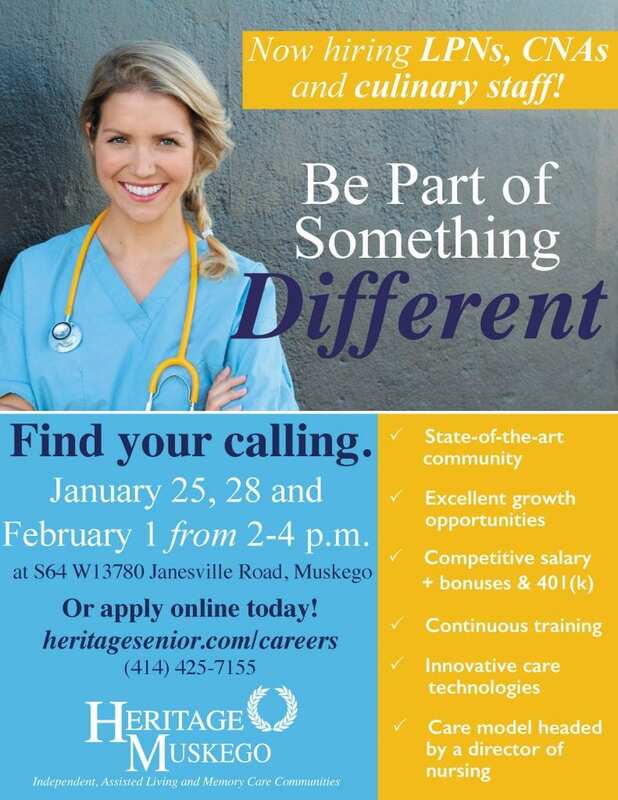 Find your calling at our state-of-the-art Heritage Muskego community. We’re now hiring LPNs, CNAs and culinary staff members. Stop by during one of our three career discovery dates to see the community, meat the team and complete an on-the-spot interview.